London (AFP) – British supermarket giant Tesco said Wednesday that it has rebounded into slender annual net profits, after a vast property writedown and a challenging home market sparked a record loss the previous year. 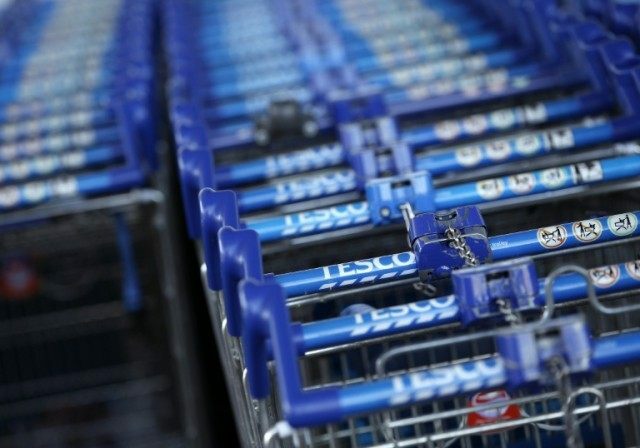 Earnings after taxation stood at £138 million ($197 million, 172 million euros) in the 52 weeks to the end of February, Tesco said in a results statement. That contrasted with a huge loss of £5.7 billion in the group’s previous 2014/2015 financial year.